Rebuke Is Hated,But It Saves Soul’s – I Am Not Ashamed Of The Gospel Of Christ! Jesus said remember they hated me before they hated you, so why would we be hated if we are speaking the word of God? If you are willing to take a stand for the truth of the word then being hated by who is hearing it at times will be offensive to them if they are not wanting to live by it. You cannot put that which is holy on anything sinful yet many try. Jesus is known as the rock of offence and the disobedient will stumble at it! “Unto you therefore which believe he is precious: but unto them which be disobedient, the stone which the builders disallowed, the same is made the head of the corner, And a stone of stumbling, and a rock of offence, even to them which stumble at the word, being disobedient: whereunto also they were appointed”. (1 Peter 2:7,8). When Moses stood for God as he led the Israelites out of Egypt, did he fold when the red sea was in front of him and Pharoah’s army behind him? No he pressed on and knew God went before him and was confident! “And Moses stretched out his hand over the sea; and the Lord caused the sea to go back by a strong east wind all that night, and made the sea dry land, and the waters were divided. And the children of Israel went into the midst of the sea upon the dry ground: and the waters were a wall unto them on their right hand, and on their left”. ( Exodus 14:21,22). “They hate him that rebuketh in the gate, and they abhor him that speaketh uprightly”. (Amos 5:10). No one wants to see a person who has fallen away from their faith lose their salvation, so we try our best to help them return to the Lord or the consequences may be grave. “For we hear that there are some which walk among you disorderly, working not at all, but are busybodies. Now them that are such we command and exhort by our Lord Jesus Christ, that with quietness they work, and eat their own bread. But ye, brethren, be not weary in well-doing. And if any man obey not our word by this epistle, note that man, and have no company with him, that he may be ashamed. Yet count him not as an enemy, but admonish him as a brither”. (2 Thessalonians 3:11-15). God is not a respecter of persons and we too are not to show favoritism if one is in error, for what good is it to be a servant of Christ and not want to allow someone to turn from the wide road that leads to destruction which many find and have them seek the narrow path that leads to life that very few find? 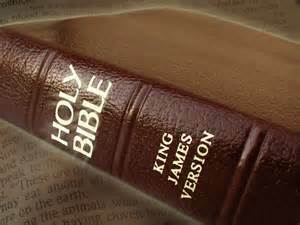 “Correction is grievous unto him that forsaketh the way: and he that hateth reproof shall die”. (Proverbs 15:10). This is a TERRIFIC POST ! Who among us has not had to gird his loins and speak truth to someone … knowing full well the REJECTION that would be swiftly forth-coming ? The receiver did NOT receive the Truth in CHRIST, he did NOT receive the kind spirit it was offered in, and he did NOT receive the one who merely reminded him of what is written in the Word+ . Anger and rejection becomes our portion, then. We become out-casts. Sometimes, this happens when we do not even speak one word ! Just our presence is enough to cause irritation and rejection. But, it is NOT OUR PRESENCE ALONE that is causing all this upheaval in the spiritual realm. NO ! There is SOMEONE+ WHO+ goes along with us … the ONE+ Who+ sent us with the Truth to share. That ONE+ WHO+ is TRUTH… our LORD JESUS CHRIST. Yes, they kill the messenger of Truth. If they have hated our LORD JESUS CHRIST, then they will hate us also. That is our portion … in this life. But if we SUFFER with HIM+, we shall also REIGN with HIM+ . That is ALSO OUR PORTION ! So we lift up our heads and exult in CHRIST OUR SAVIOR ! HE+ WON … and so will we if we faint not. Let us CONTINUE to speak the Truth in Love to this lost and dying world and its inhabitants.